If you want your tone clean, clear, precise, and rich in harmonic content, this pick is for you. 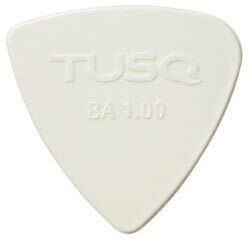 TUSQ uses a proprietary material that provides highly resonant characteristics. The pick is thin but stiff, giving you great feel and articulation.